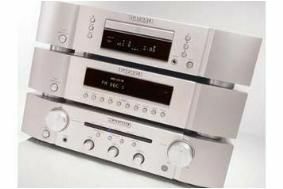 Marantz confirms UK two-channel line-up for 2008 | What Hi-Fi? Details are currently confined to model numbers, release dates and prices, but we've been assured that full specifications will reach us soon. And there's more good news for Marantz fans – we'll be putting the budget amp and CD player through their paces very soon so we can find out just how good they are.